Have you ever thought about getting a tattoo that embodies a moment, a person, or concept that is crucial in your life? What about a tattoo that really captivates people and expresses who you are? Most tattoos are inspired by these reasons and goes to the core why tattoos are so special. But how about a tattoo that you can interact with and listen to whenever you want? 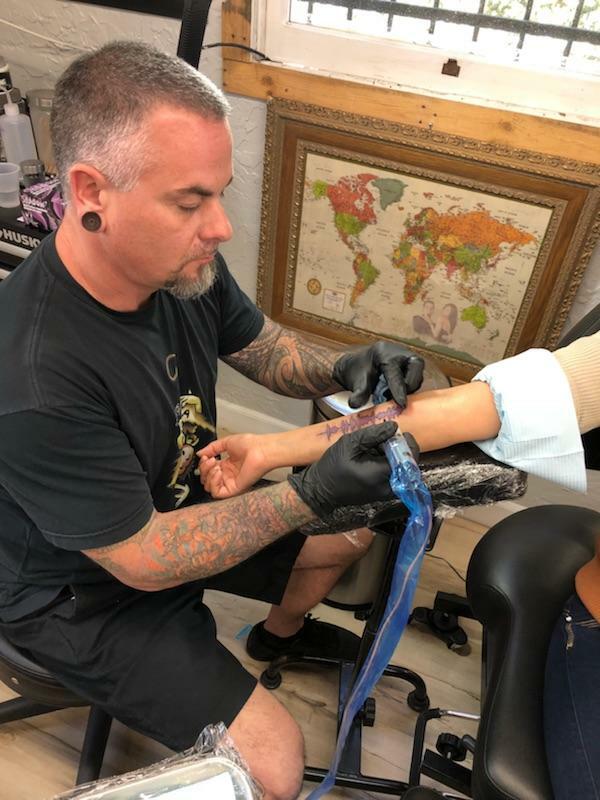 As one of the most industry-leading tattoo shops in San Diego, we are constantly looking for ways to pioneer and progress the tattoo industry and community here. Now we take that one step further with a new type of technology that fuses ground-breaking body art with augmented reality known as a soundwave tattoo. 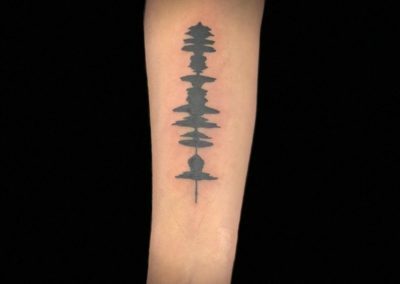 The folks at Skin Motion have developed a Soundwave Tattoo that allows you play an audio file from a tattoo using their patent pending mobile app. They refer to it as “personalized augmented reality tattoos”. And the best part ladies and gents is that our very own Seth Reynolds and J. Trip have been invited to pioneer the Soundwave Tattoo program as an official Soundwave Tattoo Featured Artists. When it comes to these types of tattoos, the possibilities are endless and we are very excited to have early access to this new form of tattooing. What Is A Soundwave Tattoo? 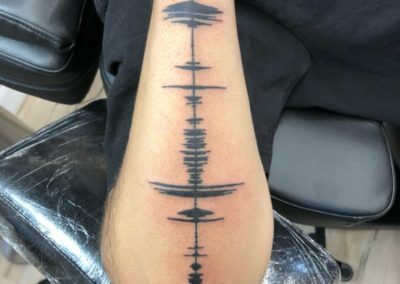 A Soundwave Tattoo is a tattoo that is designed to mirror the shape of a given waveform of a recording and can be played back using the Skin Motion app. 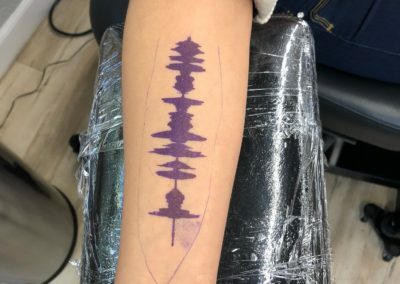 Under specific guidelines, the waveform is used as a stencil then is tattooed on the body and uploaded to the app that uses image recognition technology to identify the soundwave and play it back. 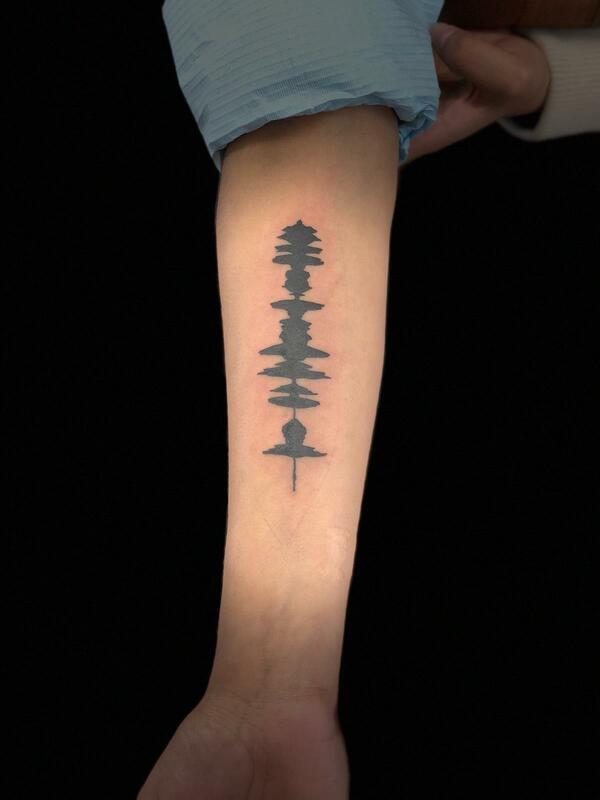 Soundwave Tattoos can playback up to 60 seconds but the best ones are between 5-20 seconds. The recordings are limited to sounds that are not copywritten material. So, nothing like the chorus of your favorite Beatles song or quote from Anchor Man unfortunately. 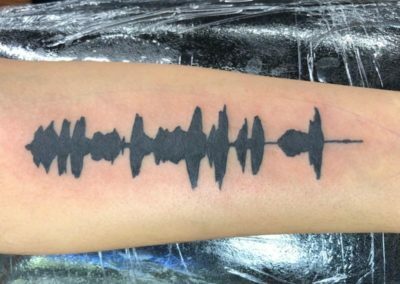 The soundwave tattoos work best when it is something that has been personally recorded. Things like a recording of a close family member saying “I love you” or your dog making those characteristic barks are what its about. Check out this video below as an example. A soundwave tattoo can be created in 3 simple steps. The first step is making the recording and uploading it to generate the stencil for the design. 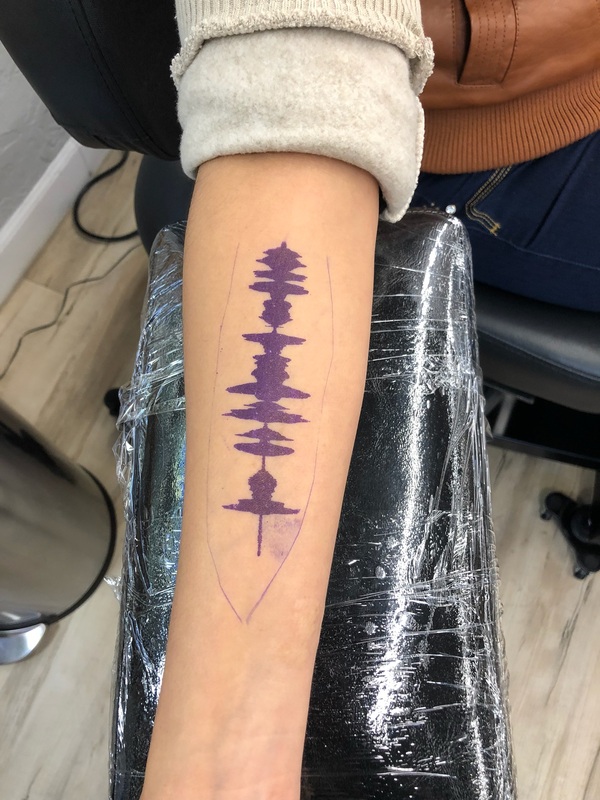 Once the recording has been uploaded to the app, the stencil can be taken to a trained Soundwave tattoo Featured artist in the artist directory. 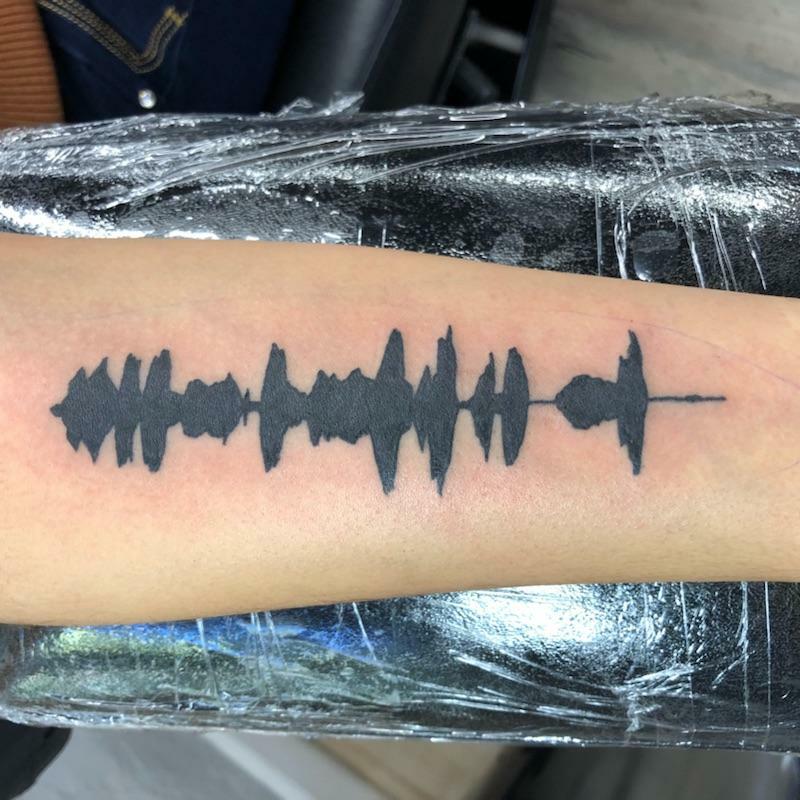 There are limitations to the Soundwave tattoos in terms of placement, size, and customization so it’s important that the tattoo is done by an artist that is licensed through Skin Motion and recognized as a Soundwave Tattoo Featured Artist. Once the tattoo is complete, all that is left is to upload and image of the soundwave tattoo and purchase and activate it through the app. Once activate the person can then open the Skin Motion app and use the camera of their phone to initiate playback. The app can currently be downloaded from the Skin Motion website or from the Apple Store and Google Play Store. 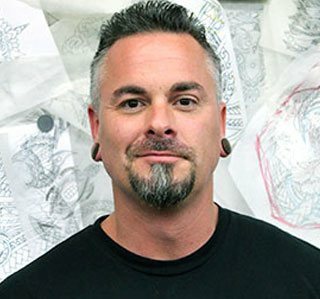 Soundwave tattoos have gained worldwide exposure with artists and clients alike. By opening the ability to listen to a tattoo, it creates an entirely new dimension of customization to the body art you carry with you. We are excited to provide these augmented tattoos at the Funhouse Tattoo: International Guesthouse shop in Pacific Beach and create these for anyone and everyone in the San Diego community to enjoy. 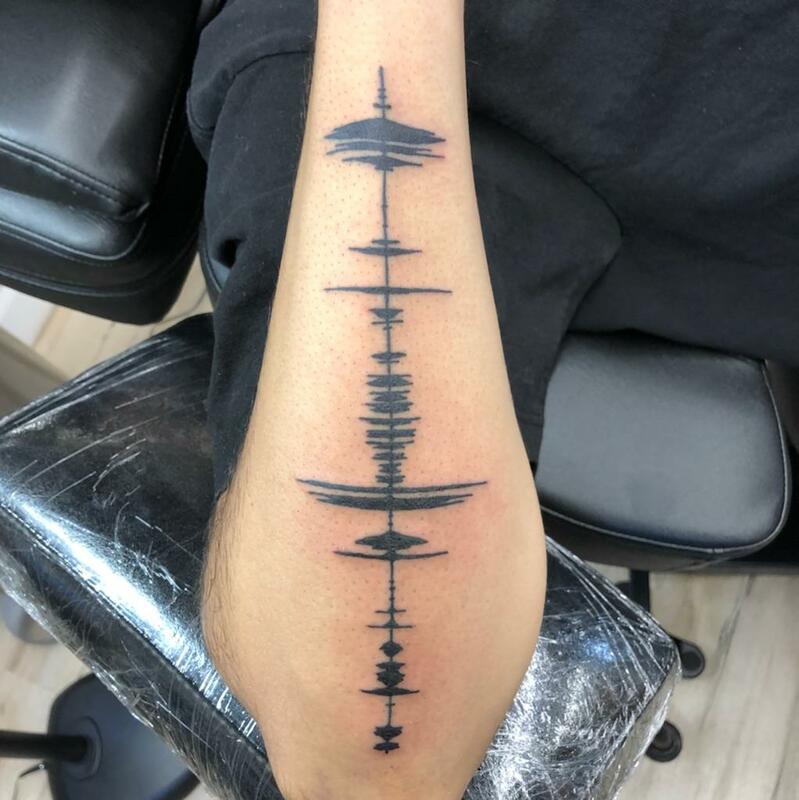 If you would like to learn more about the soundwave tattoos or get ideas for your own design you can reach out to us for a free consultation by submitted the contact form below. 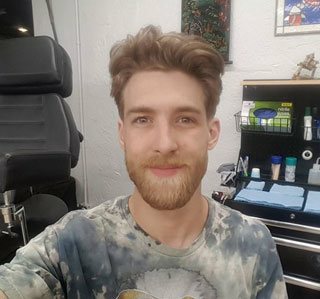 We would love to hear from you and collaborate on your next tattoo.